It's not exactly news that the tattoo world has changed. No longer do we live in a society where the only ink we see are butterfly tramp stamps or "No Ragrats" chest pieces à la We're the Millers. Tattoos have increasingly been accepted as a legitimate art form around the world, and accordingly, the number of young, up-and-coming artists out there has been growing. With this increase, there's also been a rise in the creativity and sheer talent displayed by these artists. 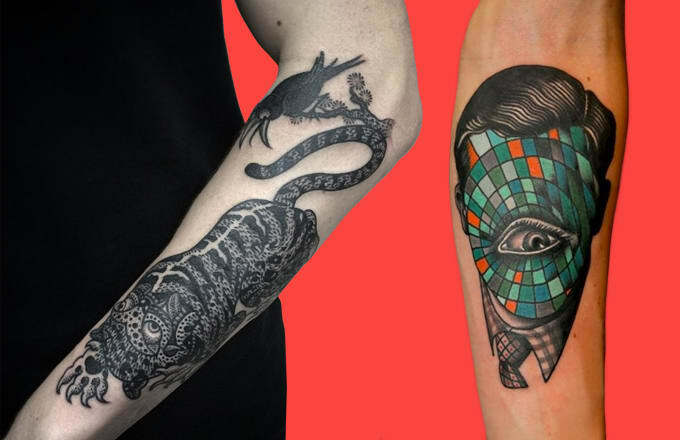 Ranging from those who specialize in hyperrealistic, 3D-like portraits to the rising masters of traditional Japanese tattooing, here are 15 New Tattoo Artists to Have on Your Radar.